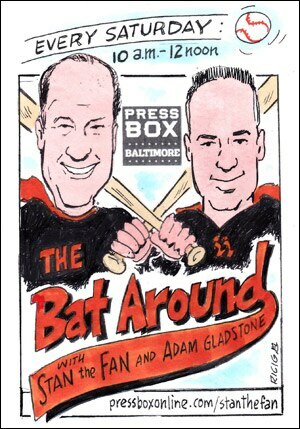 Stan "The Fan" Charles takes a stab at predicting the Orioles' 25-man roster, and he says a couple of last-minute surprises could be on the way. Stan "The Fan" Charles reacts to manager Brandon Hyde's decision to go with Alex Cobb as the Orioles' opening day starter and what it means for the rest of the rotation. Stan "The Fan" Charles shares some observations from Orioles spring training, including the progress of Chance Sisco, the refreshing aspect of the rebuild and more. Stan "The Fan" Charles shares his thoughts on Manny Machado and whether the Dodgers really did show him more love than the Orioles.